London: 22 October 2012 - ECR Minerals plc is pleased to provide the following update on its activities and strategy. The planned programme of geochemical sampling within historical underground workings at ECR’s El Abra gold prospect, part of the Company’s Sierra de las Minas gold project area in La Rioja Province, Argentina, has been completed and the Company expects to be in a position to announce assay results from the programme before the end of October 2012. In August 2012 the Company advised that its representatives in La Rioja Province had been approached by a South American group interested in holding preliminary joint venture discussions with regard to Sierra de las Minas. These discussions have not progressed beyond the initial stage but the Company remains open to joint venture approaches. Following the appointment of three new directors in May 2012, ECR has pursued a revised strategy with the following key elements. Realising value from investments, including ECR’s position in THEMAC Resources Group Ltd (“THEMAC”), as far as it is possible to do so on attractive terms. Continuing exploration within the Sierra de las Minas gold project area, in line with a policy of focusing on mineral projects over which the Company can exercise direct control. Reducing the complexity of ECR’s operations by disposing of non-core interests such as the Company’s stake in ACS Asia, a manufacturing business located in Thailand. Work towards this objective is ongoing. This strategy is being implemented as quickly as possible in an uncertain global economic environment, and further updates will be provided as and when developments of sufficient magnitude occur. ECR is evaluating options to achieve the sale of all or a substantial part of the Company’s interest in THEMAC Resources Group Ltd (TSX-V: MAC). Such a transaction is a high priority for ECR on the basis of the significant benefits that increased financial strength could be expected to bring the Company and its shareholders. ECR owns approximately 19% of THEMAC’s issued share capital and has a fully diluted interest of approximately 21%. 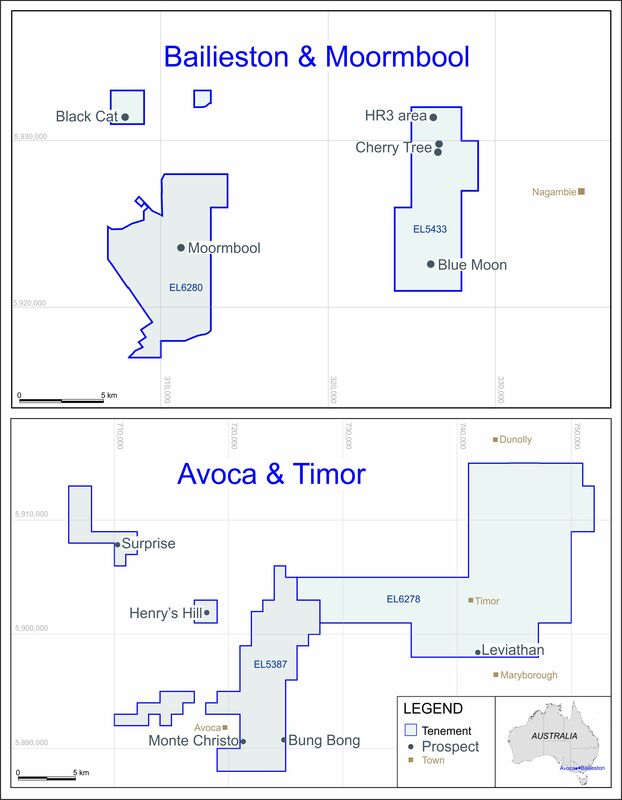 The Company holds 14.35 million common shares and 14.35 million common share purchase warrants of THEMAC, all of which are exercisable at C$0.28 per share; 3.85 million warrants are valid until 3 May 2013 and the remaining 10.5 million warrants are valid until 4 March 2016. The Company is considering the best course of action with regard to its holding of shorter dated warrants. It is possible that a sale of THEMAC shares could fund the exercise of these warrants. It remains the case that full and effective control of ECR’s 100% owned Australian subsidiary Mercator Gold Australia Pty Ltd (“MGA”) has not yet been returned to its directors, who await notice from MGA’s administrators of the termination of the Deed of Company Administration (DOCA) to which MGA is currently subject. Once the DOCA has been terminated, the utilisation of the tax losses that are believed to be valid and useable by MGA subject to certain conditions will become a significant focus for the Company. ECR is a mineral exploration and development company with 100% ownership of the Sierra de las Minas gold project area in La Rioja Province, Argentina. The project area hosts numerous small, high grade gold targets that may be suitable for early advancement to production, including the El Abra prospect. The Company holds a 21% fully diluted stake in THEMAC Resources Group Ltd, which is focused on the redevelopment of the Copper Flat copper-molybdenum-gold-silver porphyry deposit in New Mexico, USA. THEMAC is listed on the TSX Venture Exchange with the symbol MAC.